Welcome to autumn, the time of the year when the colours of the leaves are changing, candles are lit up while we are snuggling up on the sofa wrapped up in a warming blanket. We put our summer clothes in the back of the closet to make space for our chunky knit cardigans and jumpers. But hold on… it is still so warm outside. If the colour of the leaves wouldn’t have changed it could still be late summer. So don’t put away your summer clothes just yet! 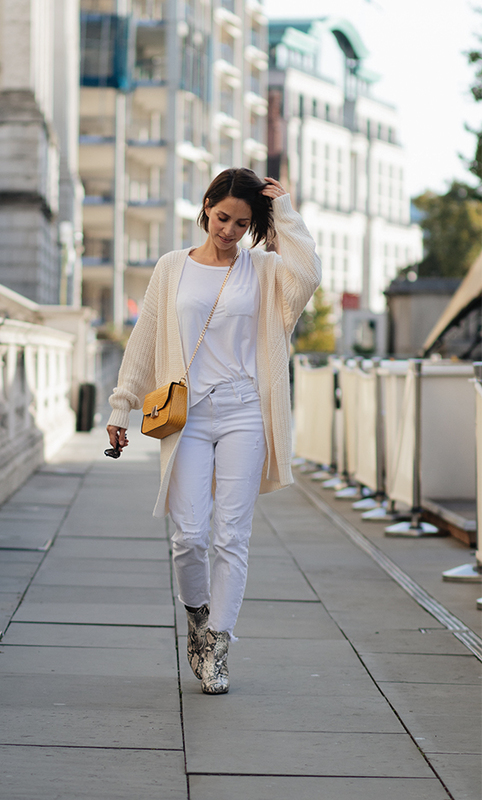 A chunky knit cardigan is my favourite go to item of clothing for this time of the year. It is versatile and can be combined with the favourite t-shirts you loved wearing during summer or even with your favourite summer dress. Layer your cardigan with clothes made of a lighter material than your cardigan. as you will otherwise quickly look squeezed and smaller than you actually are. Neutral colours always give a touch of elegance to an outfit. 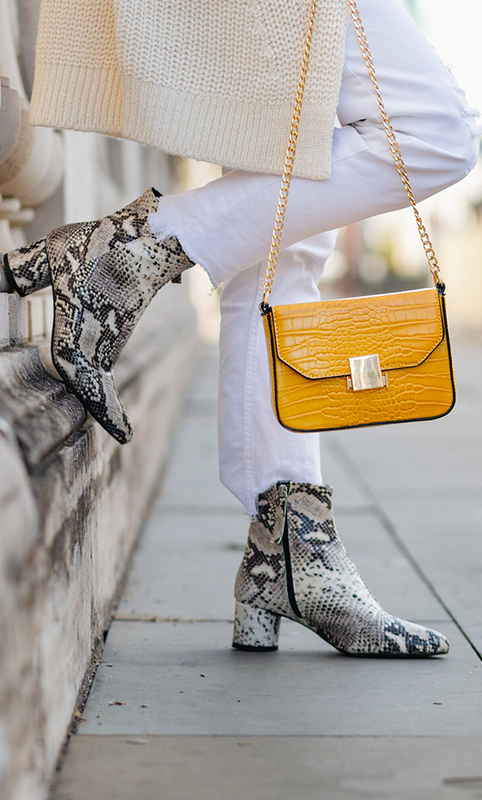 I combined this cosy chunky knit cardigan in cream with a pair of snake printed statement boots. 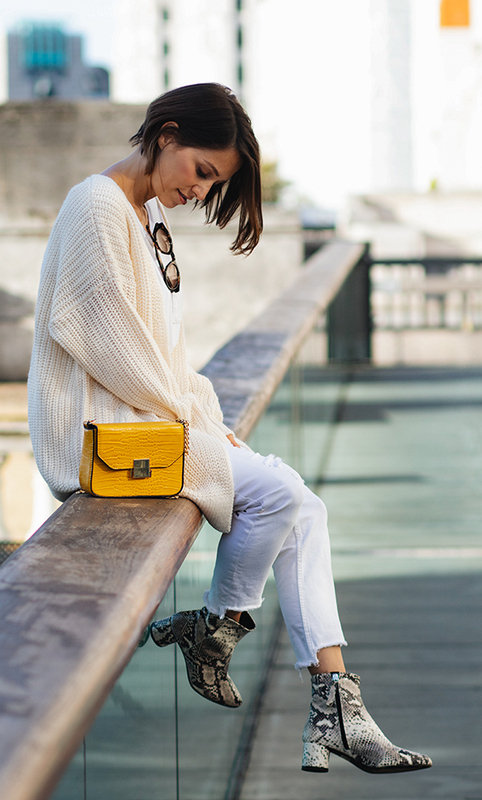 To add a pop of colour I aimed for a yellow crossbody bag to give the outfit a little twist. Christmas is coming closer! Have you read my 9 tips on how to find a thoughtful gift for your loved ones? Read the article here. @2018 - ElleMio.com - All Right Reserved.